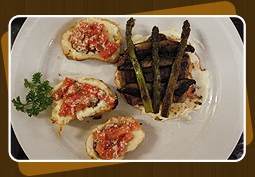 The dream of establishing Chirico’s Italian Ristorante’ was begun in 1981 by the owner and founder Frank Ray Chirico. His love of food and people just seemed to be the natural course he should take in life. After learning his father’s Italian sausage making skills, mastering the art of dough making, and securing all his nonna’s recipes for her sauces and meatballs, he opened his first restaurant. He knew people would love the many flavors of Italy as much as he had throughout his childhood. Frank passed along to his three sons his love of preparing the many old world Italian dishes for which he was famous. Today, you will enjoy the very same flavors made from the recipes passed down from generations when you visit one of the Chirico’s locations at either Logan, West Virginia or Pikeville, Kentucky. So, whether you are a longtime customer or will be visiting Chirico’s Ristorante’ for the very first time………. Sit back, make your self comfortable, and enjoy the best Italian food anywhere in West Virginia or Kentucky! Remember….you’re just like family to us!